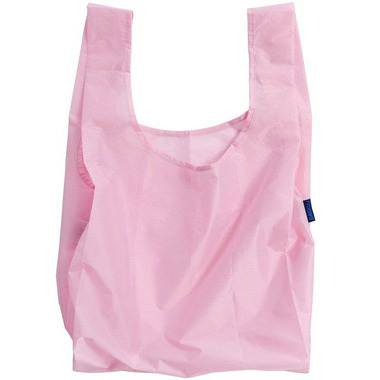 The Standard Baggu is their best selling reusable bag and it's not just for the grocery store! Carry in your hand or over your shoulder. This nylon bag holds 2-3 plastic grocery bags worth of stuff. Folds into a flat 5 inches by 5 inches pouch. Holds 50 lbs.